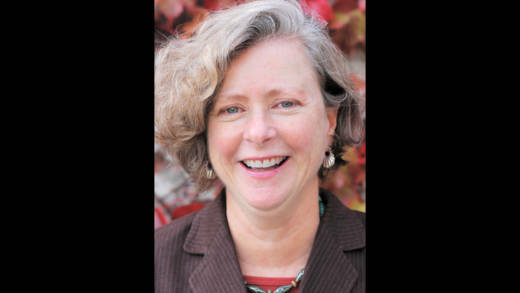 A local librarian received a national honor Wednesday night for her work providing cooking demonstrations and other programs at the San Francisco Public Library. Lia Kharis Hillman was one of 10 librarians who was honored with the I Love My Librarian award at a ceremony in New York City. A former chef who worked at many local restaurants, Hillman was nominated for creating garden and food education programs in library branches across the city. Her goal was to help underserved families learn the importance of cooking at home by showing how self-prepared meals lead to good health. "This whole thing is completely blowing my mind. People really want to learn these skills, but it goes beyond that -- they're astonished at how easy and accessible it all is, and how little time it takes," Hillman said. Hillman also provided local children hands-on experience growing vegetables by building a garden in a patio at one of the libraries, and set up a seed-lending library so families could start their own gardens. It was while harvesting some of the crops from the garden that the idea to provide cooking demonstrations came to her. "We were harvesting our first crop at the Mission garden and I had made this simple salad dressing," Hillman said. "The kids were taking different greens from the garden that they had grown and dipping it in the dressing. Many of them had never eaten salad before -- it's not part of the culinary cultural background. So when they tasted the salad, their eyes just popped; they couldn't believe how delicious it was." She says had been trying to find a way to provide some kind of cooking education at the library since she began working there. Then Peter Wiley of Wiley Books provided funds to the library staff, challenging them to "bring the library into the future." Hillman applied and was one of four to receive funds, which she used to buy a Charlie Cart, a mobile kitchen for cooking demonstrations. Since then, Hillman has provided numerous classes, and she says they're generally well-attended. They're also a lot of work to put on, but she says it's worth it. "All the provisioning, all the planning -- it's labor intensive," Hillman says. "But the outcome far outweighs the amount of labor, and you don't even think about it." Hillman also provides food demonstrations at the Heart of the City Farmers Market every Wednesday. For beating out 1,100 nominated librarians, Hillman received a $5,000 award.